United Way has always been about neighbors helping neighbors, as we envision a community where everyone can achieve their potential. It’s not a vision we take lightly. Whether it’s the needs of an entire neighborhood or simply the needs a family has for tomorrow, we work every day in our community to connect our neighbors to programs and services to help them break the cycle of poverty and have a better quality of life. Thanks to our generous donors, we invested $24.5 million in our community last year – supporting our five-county footprint through a network of community partners focused on education, health and financial stability. 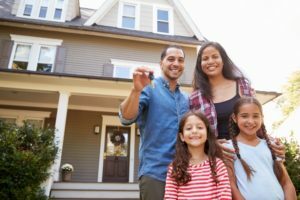 890 families facing eviction maintained their housing through advocacy and financial support services. 19,490 children received resources to help prepare them for kindergarten thanks to programs supported by United Way. United Way expanded Tutor Charlotte – a joint initiative with Read Charlotte and Charlotte-Mecklenburg Schools to provide a countywide system of high-quality tutoring – to reach 24 classrooms in 8 schools with 450 reading mentor volunteers. Crisis Assistance Ministry’s Free Store enabled 38,000 people to fulfill their basic needs like food, clothing and other necessities to improve their financial well-being. Child Care Resources helped parents of 5,500 families identify quality early care and education programs and make informed choices for their children. 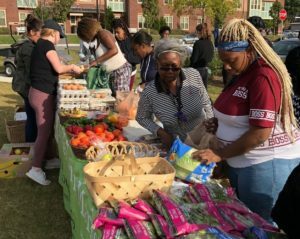 Renaissance West Community Initiative partnered with The Bulb mobile farmers market for weekly visits to provide Renaissance residents with local produce, healthy groceries and wellness education. Charlotte Speech and Hearing Center provided services to 754 children with developmental delays. Care Ring expanded its Nurse Family Partnership program to the Renaissance neighborhood, providing mothers with intensive parenting education and supportive services from a trained nurse home visitor. Communities in Schools piloted an Integrated Student Supports model for at-risk students, which addresses both academic and non-academic barriers to school achievement. Help us maintain this momentum for community impact in 2019 by supporting United Way. Your investment helps children succeed in school, adults thrive at work and people of all ages live healthy, happy lives!